Sigvaris Sheer Fashion thigh high compression stockings is one of the most fashionable and comfortable over the counter compression stockings available. The 15-20 mmHg compression increases circulation to reduce leg fatigue and swelling throughout the day. Pairs great with skirts and dresses. 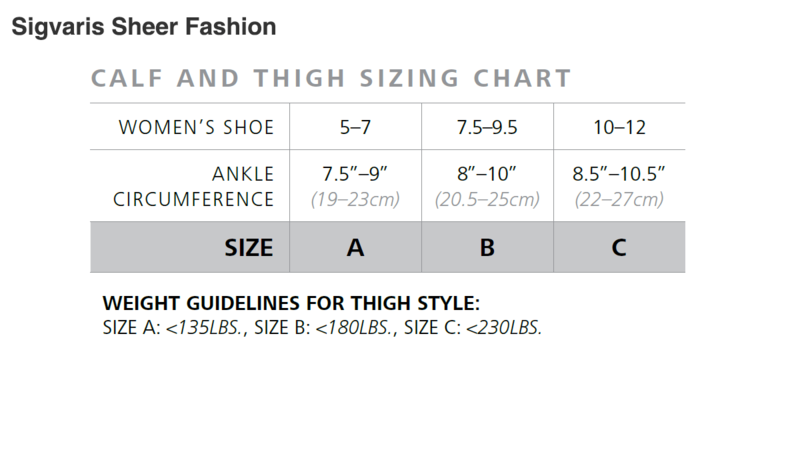 Choose size using shoe size, ankle circumference, and weight.